Thank you for purchasing Pilates Fitness Group Class Membership! You can use class credits to attend group classes at any Pilates Fitness studios in Singapore. We are glad that we can walk this fitness journey with you! The charge will appear on your credit card statement as “Paypal PILATESFITN”. We will also update your Pilates Fitness online account in two working days. You can start to attend classes immediately. Do flip through your calendar and start to block book your Pilates classes! Attend 8 Classes in a month and be rewarded with up to 1 FREE Class a month! You can also contact us at enquiry@PilatesFitness.com.sg or Whatsapp / SMS / call us at +65 9184 7622 if you have any questions. Please note that a joining fee of $49 per person is required before you can attend any classes. Please make your payment via cash / NETS / check at the front desk before your first class with us. Hope to see you at the studio real soon! Have an awesome day ahead! Why are Pilates classes more expensive than most fitness classes? 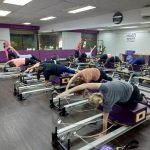 Why Is It Important To Attend Pilates Classes From Different Pilates Instructors?